Today, we are about one-third of the way through winter, and well into dormant period, which is the right time for winter pruning of trees. Gardeners need always to be conscious of the change of seasons, because it affects the growth cycles of our plants. Let’s review. Winter begins on the shortest day of the year, called the winter solstice. In 2014, that day was December 21st. The days gradually grow longer until day and night lengths are equal, marking the first day of spring. That phenomenon, called the Vernal Equinox, will occur next in about ninety days, on March 15. The cycle then continues for ninety days. The days grow longer and the nights grow shorter until we have the longest day of the year, the Summer Solstice, which marks the beginning of summer. Ninety days later, the day and night lengths again become equal and we will have the Autumnal Equinox, marking the first day of fall. It is comforting in this troubled world that something of importance occurs on a predictable schedule. So, this is the time for gardeners for winter pruning of trees. 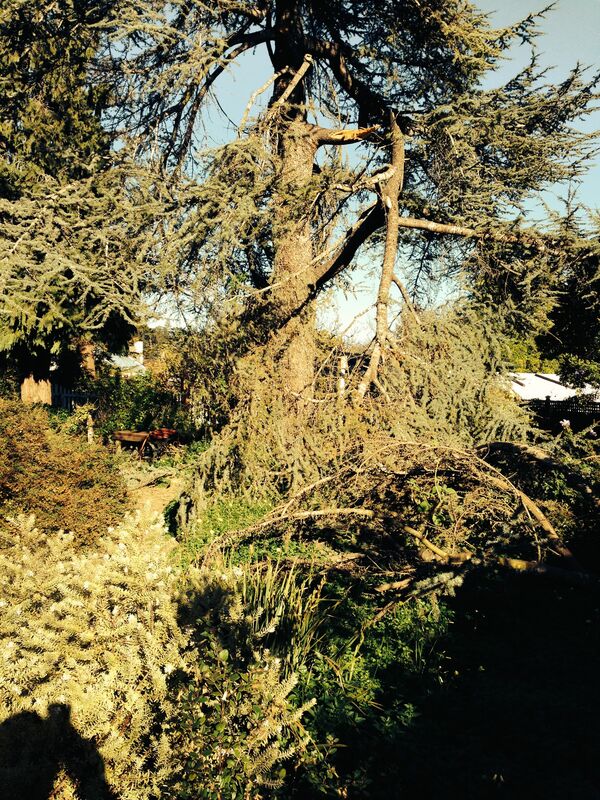 Tree pruning involve practices that may be unfamiliar to some gardeners, and encourage them to avoid the work. The reality is that pruning is really not difficult, but complicated enough to that books have been written on the subject The complexities arise when considering the growth patterns of different trees, and the stylistic preferences of pruning specialists. Without getting into all the in and outs and ups and downs of tree pruning, consider the basics. First, winter pruning, which is done during dormancy, stimulates growth in the desired directions. Summer pruning, by contrast, which is done after spring growth is done, directs or slows growth. Dead – If a branch looks dead, scratch the bark to look for a green layer. If it’s green, it’s still living. It it’s not green, remove it. Diseased –A sick branch can have various symptoms, depending the disease or insect infestation. Between cuts, clean clippers with 10% bleach water. Damaged – Remove branches wounded or broken by storms or any other cause. They are unattractive and can foster diseases and insects. Deranged (the root meaning is “moved from orderly rows”) – Remove suckers, water sprouts, and branches which cross or rub other branches, or point in the wrong direction. A busy gardener might be tempted to skip this seasonal maintenance task, but trees, like everything else in the garden, grow better and look better when they are cared for regularly. Skipping seasonal pruning simply postpones the task, but doesn’t eliminate the need. Meanwhile, the tree doesn’t look its best. This entry was posted in Essays 2015, Winter Quarter and tagged Pruning, Trees by tomkarwin. Bookmark the permalink.